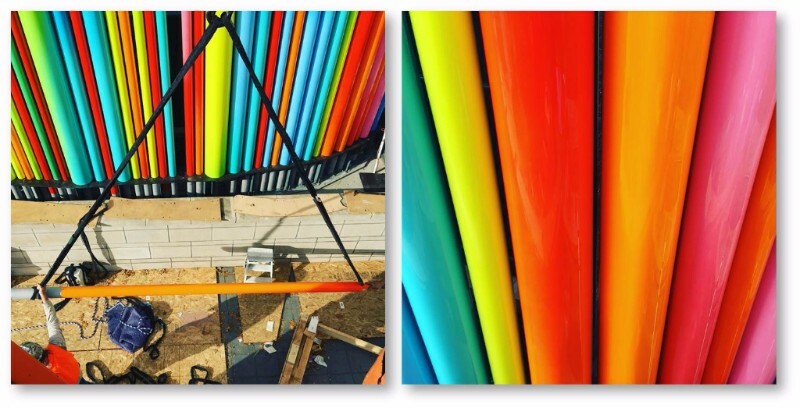 MKG has been busy across Texas recently with diverse projects, both public and private. 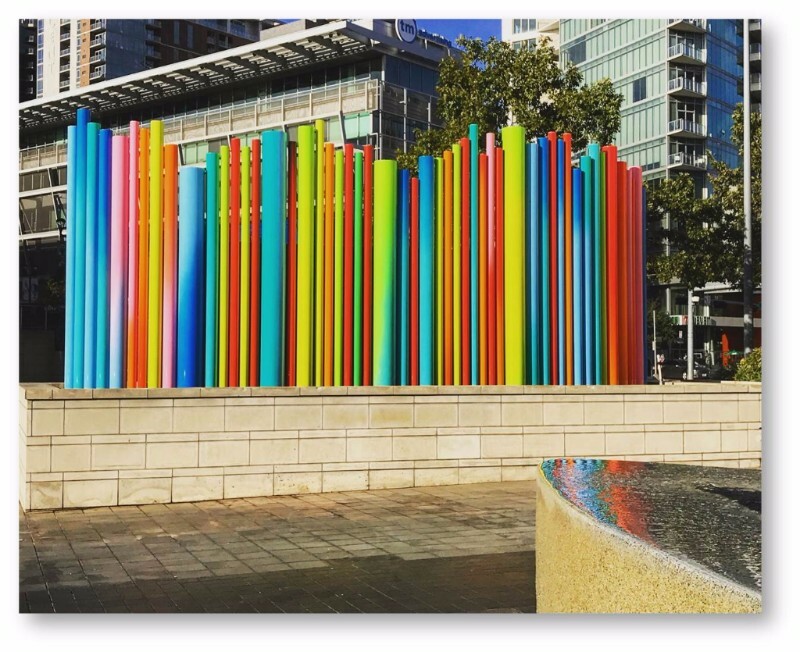 We are pleased to announce the installation of a new public sculpture by Tim Bavington, installed at Victory Park in Dallas in October. Bavington’s work translates music into the visual world by assigning color and height to each sound in a composition. 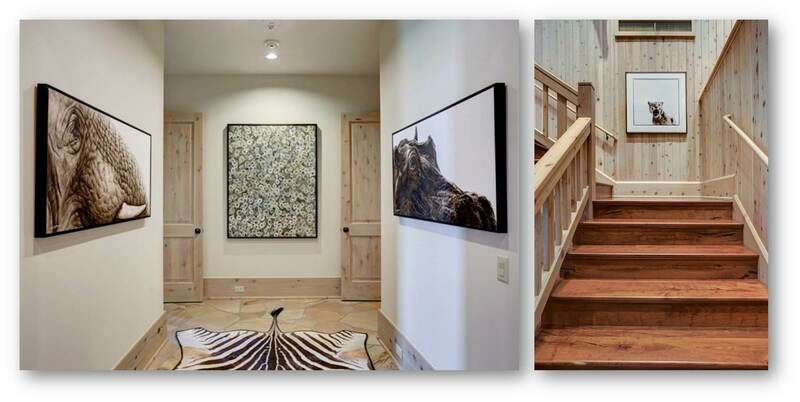 A view of a hallway towards guest quarters showcase animal portraits by Michelle Decker flanking a painting with heavy impasto of gulf oysters by John Alexander. A photograph of a cougar by Nine Francois is placed prominently along the stairwell. 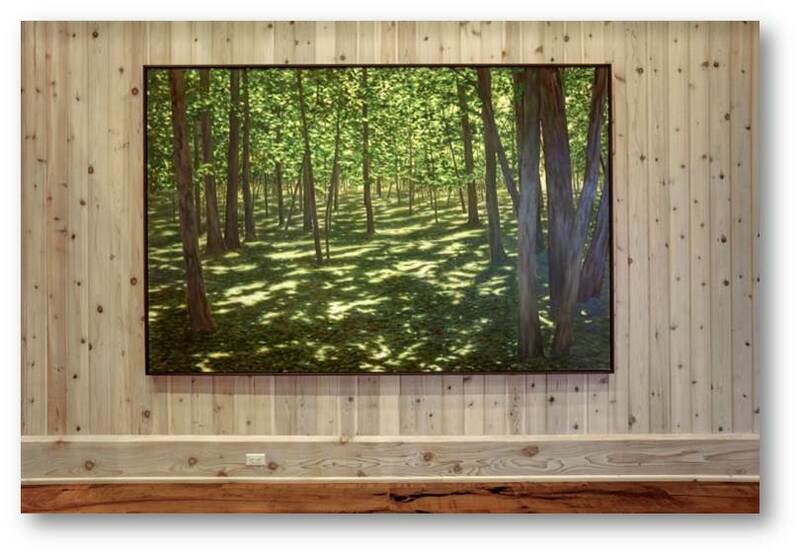 Floating on a knotty pine paneled wall, April Gornik’s stunning landscape hangs in a common area of the lodge. 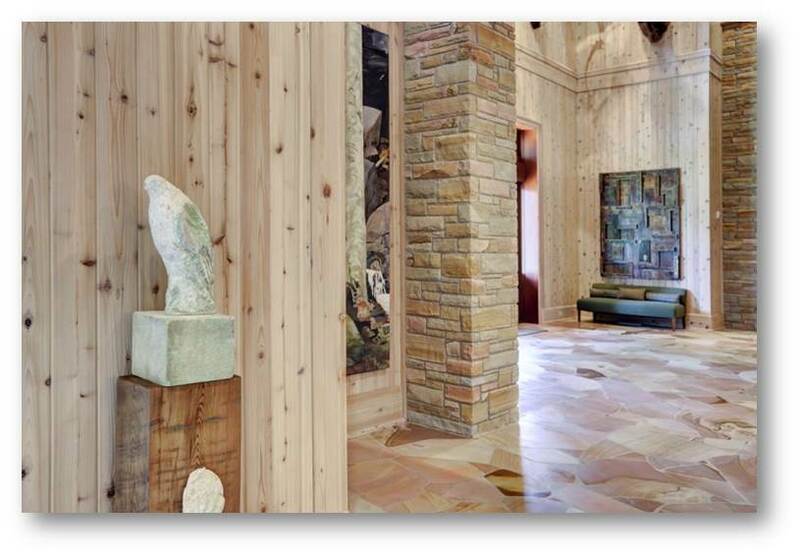 Other common areas, shown below, highlight diverse works including a limestone and recycled redwood hawk by Jane Rosen and a sculptural gold leaf and galvanized steel wall work by Nathan Slate Joseph. Brooklyn based artist, Angel Otero, creates process-based paintings that form a narrative. Through the scraping of oil paint, the artist deforms the canvas to reconstruct the composition as well as challenge our notion of historical oil painting. Contemporary Arts Museum Houston recently presented the artist’s first survey exhibition: Angel Otero: Everything and Nothing. 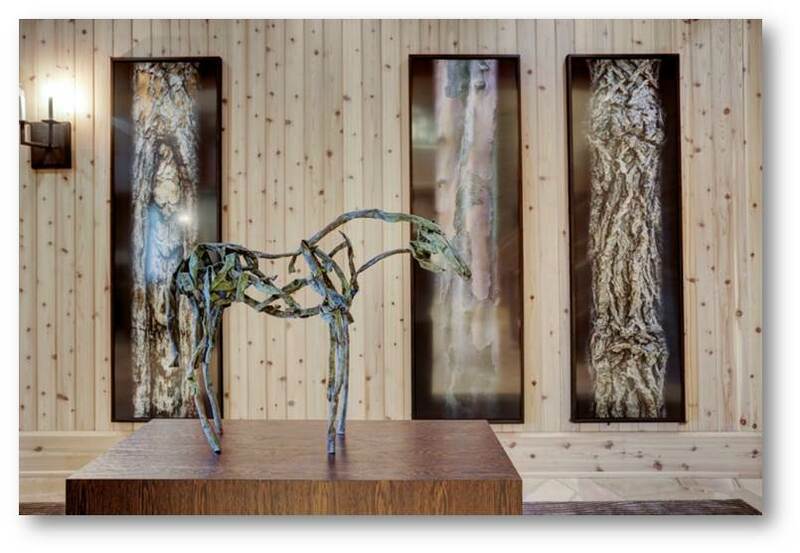 Angel Otero is represented by Lehmann Maupin in New York and Kavi Gupta Gallery in Chicago. New York based artist Mark Fox plays with intention and chance across all forms of media. The artist pushes the boundaries of paper by transforming his drawings into three dimensional works of art. 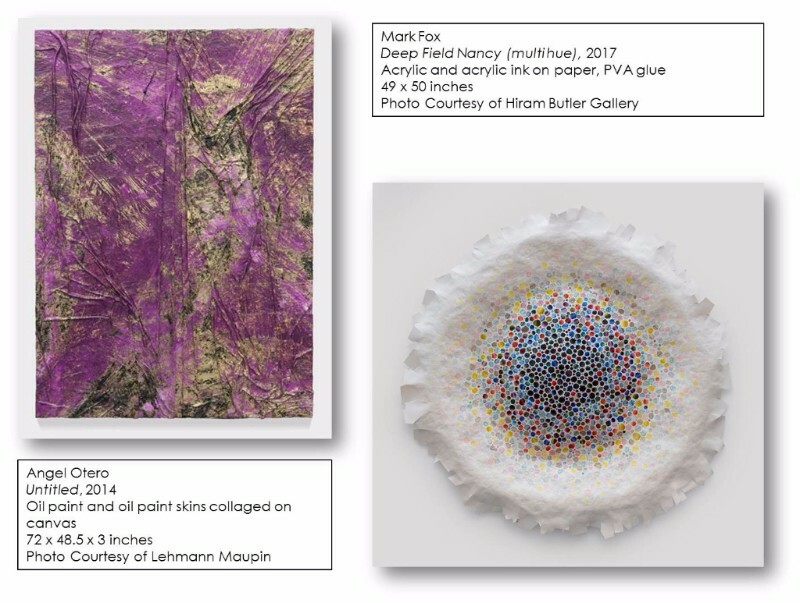 Fox currently has an exhibition at Hiram Butler Gallery in Houston through January 6, 2018. Swiss artist, Sylvie Fleury , explores the superficiality of consumerism through various media. Her recent sculptural ‘Eye Shadows’ paintings are hyper-realistic and exaggerated in scale, serving to highlight and humorously skewer contemporary consumerism. Sylvie Fleury is represented by Salon 94 in New York and Sprüth Magers in Berlin. Kevin Cooley’s latest body of work ‘Gathering Clouds,’ studies explosions in the controlled stillness of the studio. His work explores the ruptured symbiosis of human activity within the natural world. 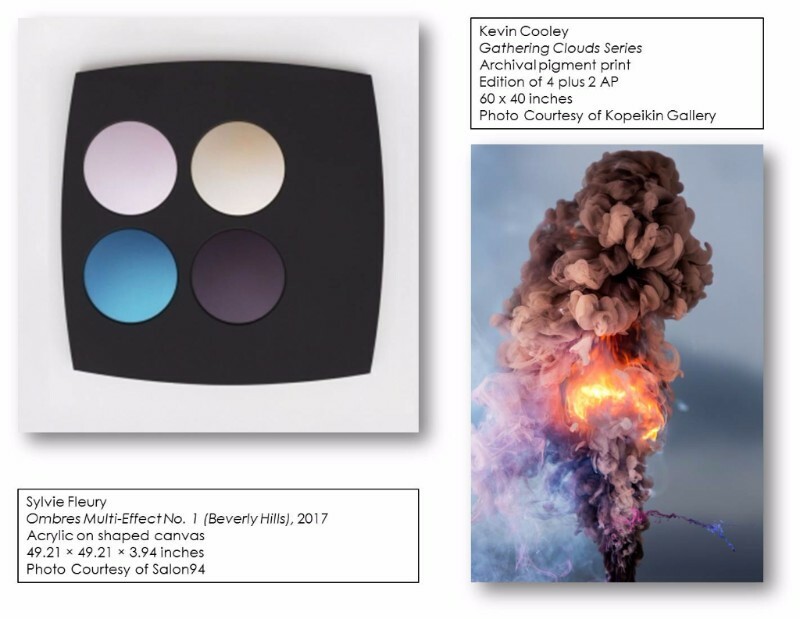 Kevin Cooley is represented by Kopeikin Gallery in Los Angeles.